Power up your device by holding down the red button on the front side for 3-4 seconds. For you to activate your account you need charge the device for a minimum of 12 hours. We recommend that you allow the device to receive its first GPS signal before activating. To do so, place your device outside in an open area with strong cellular service and a clear, unobstructed, southwest view of the sky (satellite location). Wait at least 15 minutes. 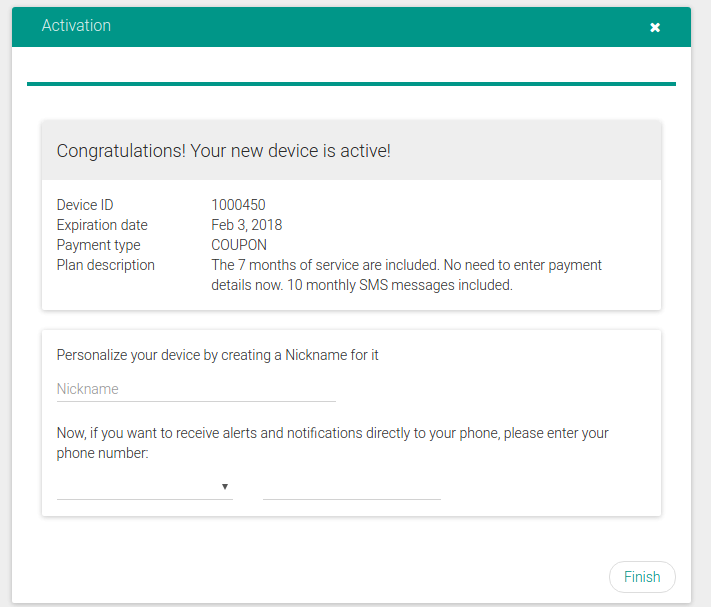 Create account on www.trackimo.com, press “Activate Device” to begin the activation process. 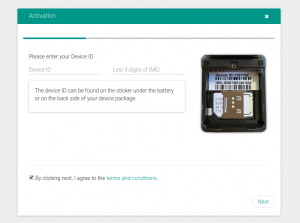 Identify the “Device ID” of your Trackimo. This is a 7 or 9-digit number, located on the inside of your Trackimo under the battery, and printed on the package. Enter this number. 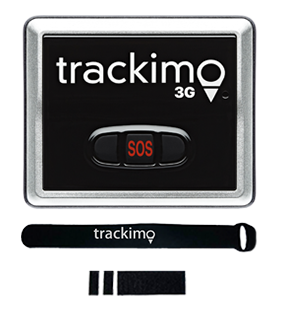 After you enter the device ID, the system will check the connectivity of your Trackimo to GSM network. This may take a couple of minutes. 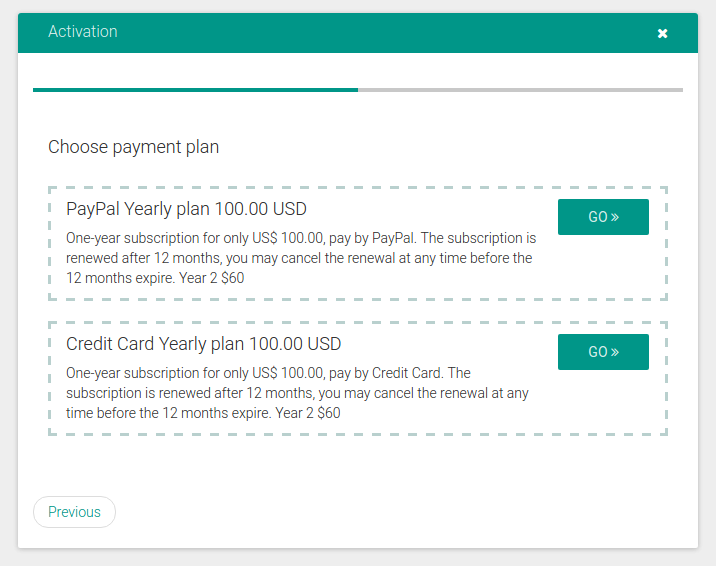 Once the device is connected to the network, you will proceed with the payment process. 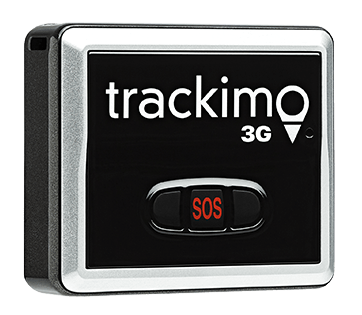 Your Trackimo device includes a prepaid 12-month monitoring subscription. You are not required to enter payment information at this time. 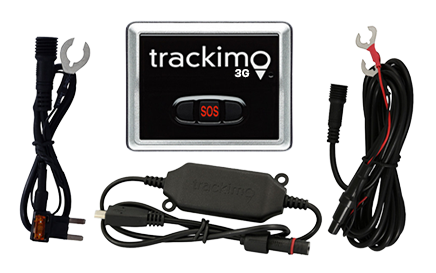 Enter a nickname for your Trackimo device and (optionally) the phone number to receive alerts and notifications directly to your phone. Now you are ready to go. REMEMBER: The device has to be fully charged before the first activation.